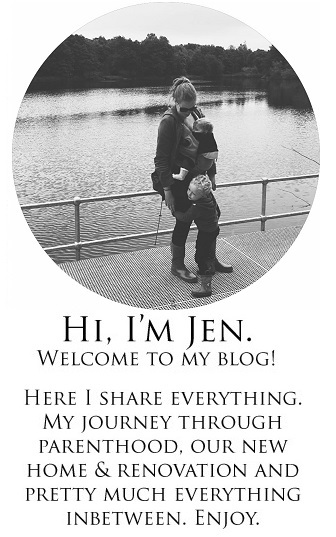 We are signing off here on the blog until the new year to spend quality time as a family and catching up on some much needed sleep! I hope you have all had a wonderful Christmas and have made some special memories, we certainly have. See you in the new year! 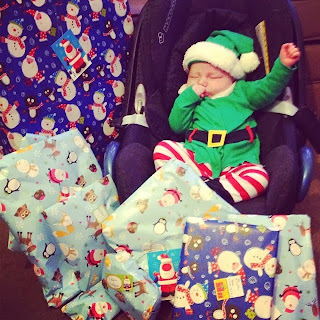 As a Beebies Ambassador Noah and I were fortunate enough to receive some goodies from the Beebies Baby Store to review to celebrate #AVeryBeebiesChristmas. 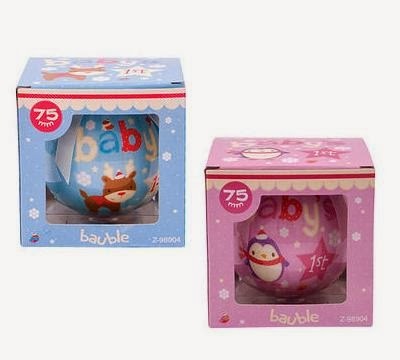 Included in our gift was a blue Nod Pod, Baby's First Christmas Bauble and the Nattou Cappuccino Activity Spiral. All three items are lovely and items I would of chose myself so I was extremely happy. We love love love the Nod Pod! Noah Isn't a fan of being swaddled so I was a bit apprehensive of testing it out. Thankfully he loves it. The Nod Pod is a new take on the traditional baby blanket. Made from a light, super soft fleece material it is super cosy for your little one. It keeps hands, toes and heads safely covered and if your baby is like mine and doesn't like his hands constraint you can even keep them out of the Nod Pod. It is ideal for in the pram or car seat. They come in three colours; blue, pink and white and three sizes; 0-6m, 6-12m and 1-2 years. 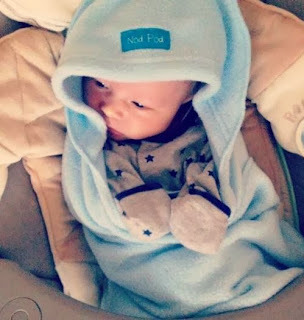 I love to snuggle Noah in it and I wouldn't hesitate in buying it in the next size up once he has grown out of it. As it is our baby's first Christmas I was on the look out for personalised or Baby's First Christmas decorations. I received the blue one for Noah and it is super cute with a little cartoon reindeer and it looks gorgeous on our tree. It will be a decoration we will treasure forever. Another item on our wishlist was an Activity Spiral. 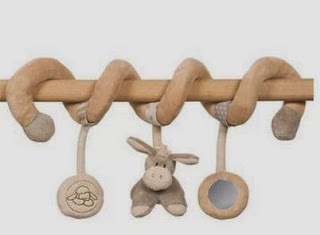 This is one charming gender neutral toy that will keep your baby entertained and enthralled. Noah is becoming more and more alert as the days go by and I am sure he will enjoy it more and more as he grows. He's still a little young to appreciate it to it's fullest. We are a huge fan of Beebies Baby Store and urge everyone to go take a look at the goodies they have in stock! We were sent these items for the purpose of this review. All opinions are my own. 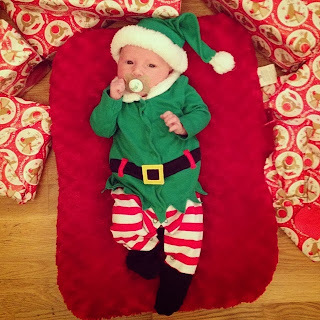 The lovely Emma from Emma and Alfie's World tagged me in this festive post. I cannot believe Christmas is just one week away! I am hoping that completing this post I will feel a lot more festive! My favourite thing about Christmas has got to be the precious family time. No matter how busy your life can be you always make time for family at Christmas. A mince pie, glass of milk and a carrot for Rudolf! This is a tradition I will pass on to Noah when he is old enough to understand what we are doing. The Christmas soaps. Turkey butties watching trash TV after of Christmas dinner. Boxing day buffet at my Nanna's. We only do a small amount. A tree, a few ornaments and tinsel here and there. Again once Noah is older and aware of everything we will put more effort into it. I love a properly decorated house. Pigs in blankets! But they have to be a little burnt! It has got to be Nightmare before Christmas. Love a little bit of Jack! As a child anything Barbie put you in my good books. These days I am happy with a bottle of perfume and some slippers. Just spending time with family every year. It's heaven. Last year was a good Christmas. We had such a laugh trying on cheesy Christmas jumpers and posing for cheesy family portraits. This year will be the best Christmas ever as we have our baby to spend it with. Our first Christmas as a proper family. It does. We had so much snow last year. I do indeed. It has a huge corny reindeer on it. I love it. I wouldn't call it ugly though. Hot choc! Never tried eggnog but it doesn't sound appealing. I haven't actually. The sacrilege! Maybe this year, eh! 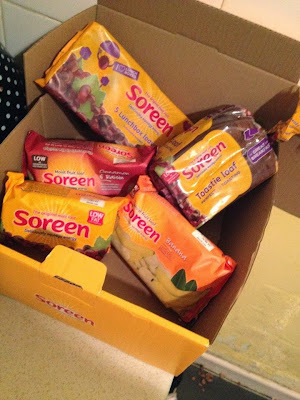 Recently Soreen were kind enough to send me a box full of their tasty treats. We are big fans on malt loaf in this household so was very excited to sample the goodies. We were very surprised at how many different variations of Soreen there are and could not wait to get stuck in. Soreen has been around for the past 75 years and is a household name here in the UK. It all started with the original malt loaf and it just evolved from there. Malt loaf is best described as a sweet and chewy bread which is made from malt and usually contains fruit. It is great as a desert, as breakfast or even just as a snack, sliced with butter. Basically it is delicious at any time of day so you have every excuse to eat it at every available opportunity! Original- The classic Soreen Malt Loaf. Squidgy and delicious as ever! You can't go wrong with a slice with a brew. I feel so nostalgic when I take a bite, brings me right back to my childhood as I loved it even then. Toastie Loaf- The Toastie is a fabulous idea, already cut up ready for your toaster. I enjoyed it toasted with a bit of jam on in the morning as I'm not really a cereal person. It was nice to have a crunchy change compared to the squidgy original as I had never thought of toasting it before. Next time I treat myself to the Toastie Loaf I am going to try it with Nutella. Lunchbox Loaves- Another hit with me. I packed a few of these yummy Lunchbox Loaves in my hospital bag when I was going to be induced last month. The delicious original malt loaf in lunch box size were a much needed energy boost when I was in hospital. They would be perfect for parents who pack lunches for their children. Banana Bread Loaf- I love anything banana and I am a bit of a banana snob. I don't like the artificial banana taste so I was a bit apprehensive when testing the Banana Bread Loaf. Thankfully I was not disappointed. Instead of the raisins and sultana's the loaf if packed full of banana. My new favourite from Soreen. Cinnamon and Raisin Loaf- Very similar to the original but lightly spiced with cinnamon which would be perfect for a snack this Christmas. Truly scrummy! I was not disappointed with the range that I sampled and I thoroughly enjoyed every morsel. It is no wonder Soreen is such a well loved household name! I was sent these products for the purpose of this review. All opinions are my own. If you have been keeping up to date with my blog then you will know that I recently gave birth to my beautiful baby boy. After the emotional roller-coaster of labour and birth you have another daunting experience on your hands shortly afterwards. That car ride home. Your baby has been safe and sound in your womb for the past 9 months and the thought of that car ride home is so frightening. There are so many worries that run through your mind. Is the car seat fitted securely? Is the seat belt to tight? Is my baby fastened in correctly? Am I driving slow enough? Too fast? Can I trust other drivers on the road? What if we break down? Do we have breakdown cover? We made sure our car had a top to tail service before the baby was born as it would of been a total nightmare if we had of broke down on the way home from hospital. To be on the safe side we also invested in breakdown cover. It is good to know we have breakdown cover in case we ever did have the misfortune of the car breaking down. We also worried a lot about the car seat. The safest way to travel with an infant is firstly to have a car seat that is suitable for their age, weight and size. The car seat obviously needs to be installed correctly and seatbelt fastened properly. The baby needs to be wearing suitable clothing and the straps pulled tightly. The car seat shouldn't wobble and the drivers seat should be against the back of the car seat. Then you are all set. 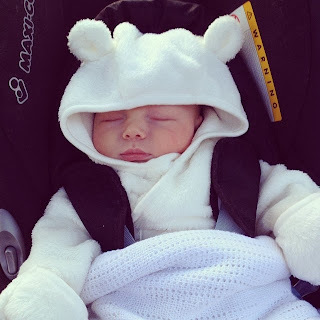 As soon as your baby is in the car with you it pays to be extra vigilant on the roads. You can be fully confident in your own driving but you can never be too careful with other drivers on the road. The drive home from hospital wasn't half as daunting as I had expected. He slept all the way through the journey and we were home in no time. How did you find that first car ride home? 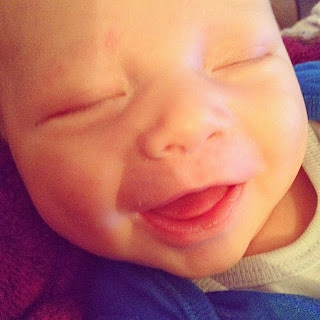 Noah Nicholas you are one month old already! It feels like only yesterday when you was in my belly, only yesterday that I was in labour but also feels like a lifetime ago. I miss you being in there squirming away but not as much as I love you being here with me. 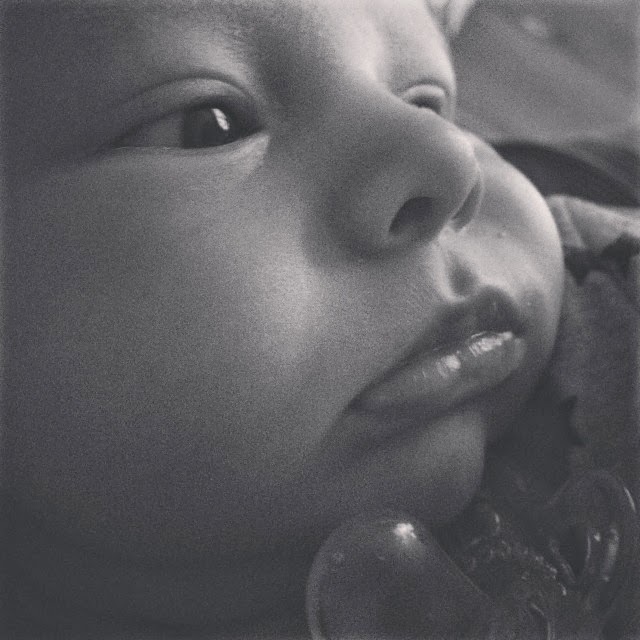 I feel so lucky to be the Mother of someone so perfect and I can't wait to see you grow. You have already changed so much. 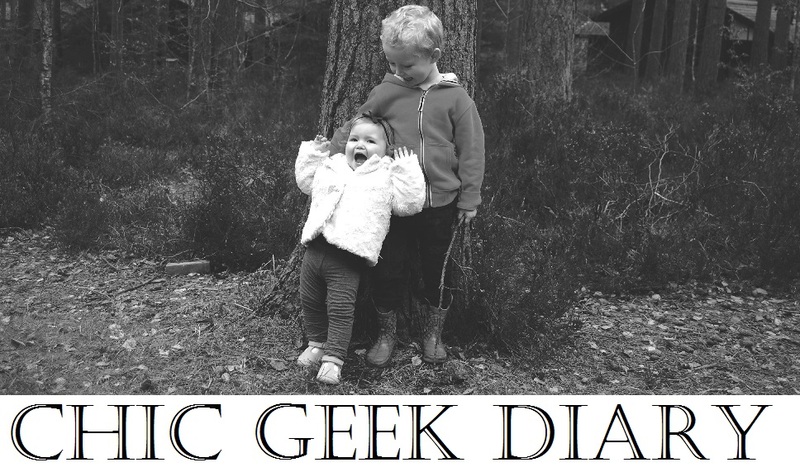 So let's have a lowdown on the month! You are such an individual already. I can see you are just like me, a feisty little thing. You seem to know your own mind already and make little grunts when you want or need something. I find you so comical. I can't wait to see your personality to develop! You have grown so much since you came into the world. You piled on the weight straight away as you love your bottles so much. 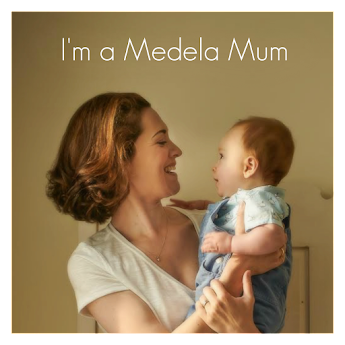 You never really lost weight and shocked the midwives every time they weighed you! You are filling out a bit more and I am loving your little pot belly! When you were born you fit into newborn but now you are venturing into 0-3 months. 0-3 varies so much in size, some fit and some are still too big. We had mainly bought 0-3 before you were born as we were expecting a big baby but when you arrived at just 7lb 2oz we had to go out and buy newborn sizes so I am glad you get to wear all the bigger ones now! We are very lucky to have a healthy baby in general. You have had a little reflux and do sick up a bit of bottle every now and again but I think that could be due to you drinking too fast sometimes. You also have had a bit of constipation early on in the month, nothing a little boiled water hasn't cured. Trapped wind also likes to make an appearance every now and again. I think that is what you struggle with the most, bless you. You do have very loud and frequent trumps though. Daddy and I have been in bed in fits of laughter at times when you have been beside us in the moses basket trumping like a trooper! Well well well. You are a little greedy guzzler! 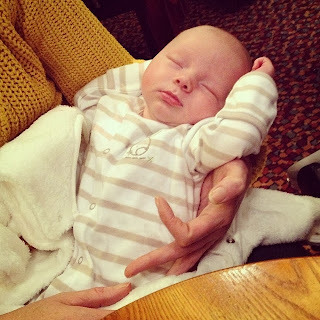 Unfortunately breastfeeding didn't work out for us and I don't want to dwell on it because the pressure and stress from failing at it still upsets me. We are formula feeding and currently using first stage Cow and Gate. At the beginning of the month you would only take 2oz every two hours. Now you are having 4oz every 2/3 hours and sometimes that isn't enough! If we try to give you more you sick it up so we are going to be trying out hungry baby milk, we are really hoping it agree's with you and you will benefit from it. You sometimes feed for comfort too and love to have the bottle in your mouth when you drift off. I find it funny how much you enjoy your milk as milk was my main craving throughout pregnancy. You even loved it when you was in my womb! We don't have much of a routine at the moment and what little routine we have isn't the best. You are just like your Dad when he was a baby and awake a lot of the time. You tend to stay awake until 1am in the morning without sleeping much at all throughout the day. You have even been known to stay awake, exhausted and worn out until 4am! You then will sleep through until lunch, waking for feeds and changes. Our clock is back to front! When you are awake you like to have our full attention and get bored very easily. You still don't like sleeping in your moses basket and most nights we co sleep until you are in a deep sleep and I then try to transfer you into it. In the morning's when your Dad has gone to work I bring you in bed with me. This is the area I really want to work on. - Lifting your head. You can lift your head for short periods of time. You have been able to do this for a while now but you haven't got full control though yet. - Becoming alert. It's incredible how alert you are. 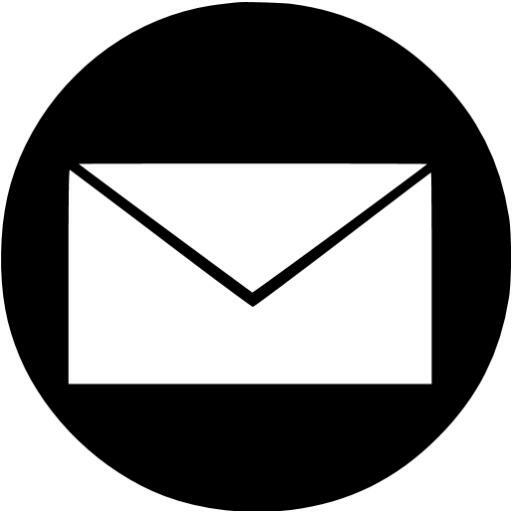 When we talk to you, you look into our eyes and take everything we say in. When someone walks into a room you not only follow them with your eyes but move your head too. It astounds me, you clever little boy. - Rolling over. 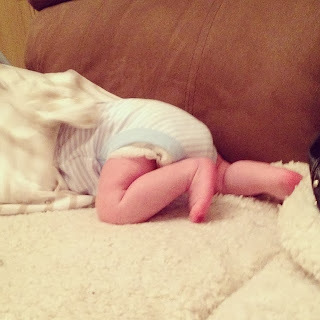 I didn't think you would do this yet but you are able to roll over off your back to onto your front sometimes. You are really strong. - Smiling. I know it's wind but your smiles are the cutest. When we speak to you you do smirk though so I don't think it will be long until we have a proper responsive smile and I cannot wait. - More vocal. You are making a whole vocabulary of different noises. 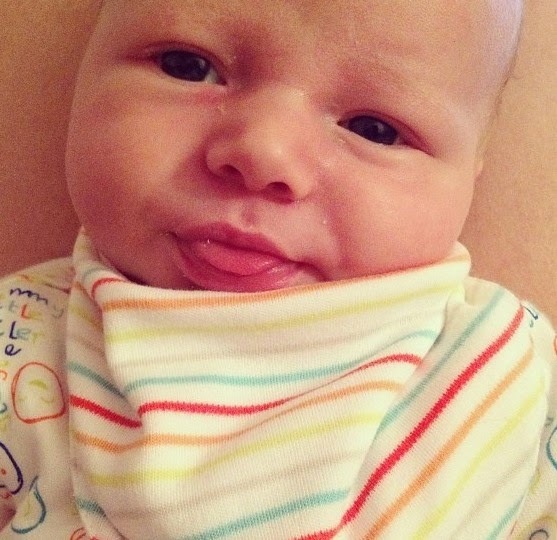 You make clicking noises with your tongue, grunts, squeaks and have just begun cooing. Even your screams are adorable. - Touch. You have begun pulling at my hair, grasping covers and comforters and touch people's faces. Not just a touch but you really have a feel and have even pulled my lip a few times. - Milk, milk and more milk! You cannot get enough of the white stuff! - Lights and Shadows. I love watching you gaze in fascination. - The car, car seat and your pram. You like to be on the move. - Being held and cuddled. You prefer to be close to us, little love. 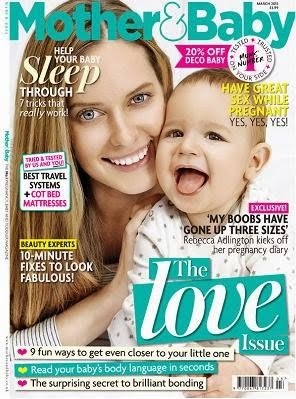 - Sleeping in bed with Mummy! - Sitting up like a big boy. We have to hold you and your head of course but you love it and it actually settles you sometimes. - Shouting! It's sounds like an oi! We always oi you back when you make the sound, it's a funny noise. The oi normally means you want yet more milk! - Being put down. You like a lot of attention! - Moses baskets. You are not a fan. - Getting dressed. You don't mind nappy changes or baths. It's just getting changed that you don't like. - Becoming overtired. You like to be awake and alert which leads to you becoming very overtired. - Being winded. You fight it so much and push back really strong. This whole month has been a total blur of exhausted bliss. 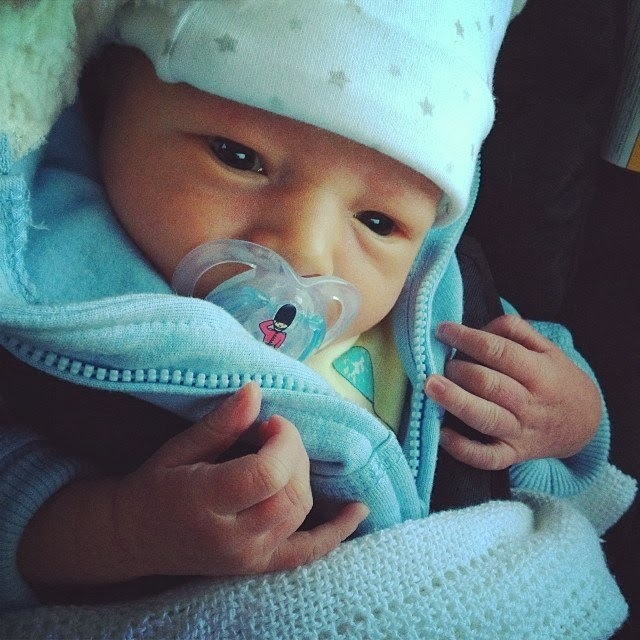 My heart melts when I look at you and I still cannot believe I am your Mummy. I can't wait to see you bloom before my eyes. Noah Nicholas you are the love of my life. Christmas Giveaway: Win £250 worth of Skincare Goodies! Today you have the chance to win a Complexion Perfection kit courtesy of Skin Chemists London. The premium skincare kit contains; Primer, DD Cream, Under Eye Definer and Lip Plump worth over £250! What better prize to way to treat your skin this Christmas! You can see the full Skin Chemists Innovation Range here. 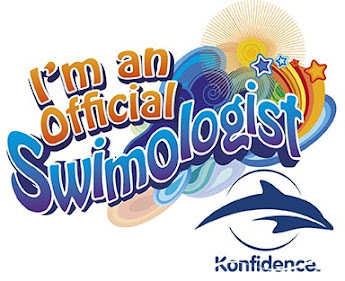 Make sure you check back every day to spot a new competition as there are going to be lots of lovely prizes to be won. All you need to do to enter is use the Rafflecopter form below. Please read the T&C's at the bottom of the page before entering. Thank you and good luck! Prize 1: Win a jar of your favourite sweets. Prize 2: Win an OPI mini set. Prize 3. 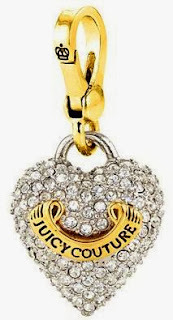 Win 1 of 3 Juicy Couture Charms. Prize 4: Win £250 worth of Skincare Goodies. 4. This #CGDxmasgiveaway competition will end 25/12/13. 5. Prize supplied by Skin Chemists. Christmas Giveaway: Win 1 of 3 Juicy Couture Charms! Today you have the chance to win 1 of 3 Juicy Couture Charms! Everyone loves a charm bracelet and these gorgeous Juicy Couture Puffed Pave Heart Charms are an online exclusive and hard to come by! Who doesn't love a bit of bling and this charm would be a beautiful edition to anyone's jewellery collection! 1. x3 Juicy Couture Puffed Pave Heart Charm. x3 winners. It's getting closer and closer to Christmas and I am not as prepared as I planned. Before Noah was born I intended to have all the presents bought and wrapped ready but I still have a dozen gifts to buy and I haven't even started on the wrapping! My other half is still asking me what I would like for Christmas and even though he has bought me a few things he is still wanting a few more idea's. Whilst looking online on Cruise Fashion I decided to put together a wishlist of Juicy Couture pieces that I wouldn't mind in my Christmas stocking this year. 1. Juicy Couture Trellis Angel Garden Bloom Shift Dress. 2. Juicy Couture Pave Heart Pendant Charm Bracelet. 3. Juicy Couture Mini Crown Charm. 4. Juicy Couture Chain Velour Suze Clutch Bag. 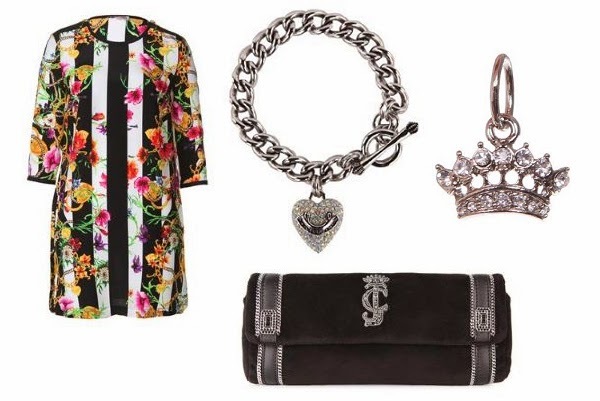 Have you seen any Juicy Couture goodies that have caught your eye? 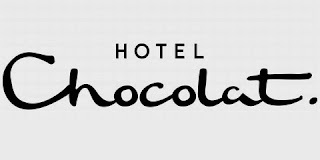 Hotel Chocolat is a well known and well loved Chocolate brand here in the UK. Founded 20 years ago by British Entrepreneurs the brand has gone from strength to strength providing delicious chocolate with a twist. There is a chocolate for every occasion. As a self confessed Chocoholic I was overjoyed when I was contacted to review Hotel Chocolat, I could not wait for my box to arrive. I was sent the H-Box Classic Christmas Collection for the purpose of this review. The collection contains an exciting variety of treats which really spoil you for choice. There is something for everyone. Chambord Royale, Christmas Mess, Cranberry Cup, Rum Punch, Nutmeg and Almond Praline, White Chocolate and Vanilla Bell, Dark Christmas Tree, 50% Milk Bauble, Pistachio Praline Crunch, Mulled Port, Marzipan and Amaretto Truffle, Caramel Supernova and Praline Crisp Star. It didn't take us long to get through the box as all were simply divine and a real treat. I really enjoyed sampling tastes I haven't tried before which I usually wouldn't of tried such as Mulled Port chocolate. My favourite has got to be the Pistachio and Praline Crunch, yummy! 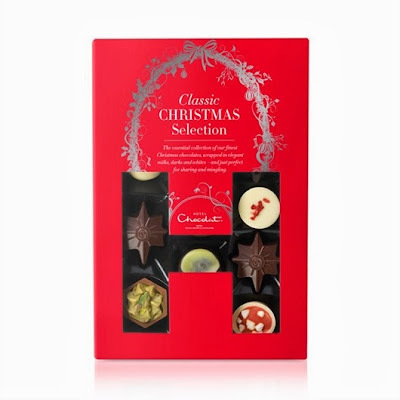 Hotel Chocolat have always been a favourite in my books and the H-Box Classic Christmas Collection didn't disappoint. It would make a lovely present for a special someone this Christmas. Don't forget to take a look on the website to see the full Christmas range. I was sent the product for the purpose of this review. All opinions are my own. Christmas is always a magical time of year but this year for Nick and I it will be even more special. The birth of our son Noah has given our life a whole new meaning and everything is so much more exciting. 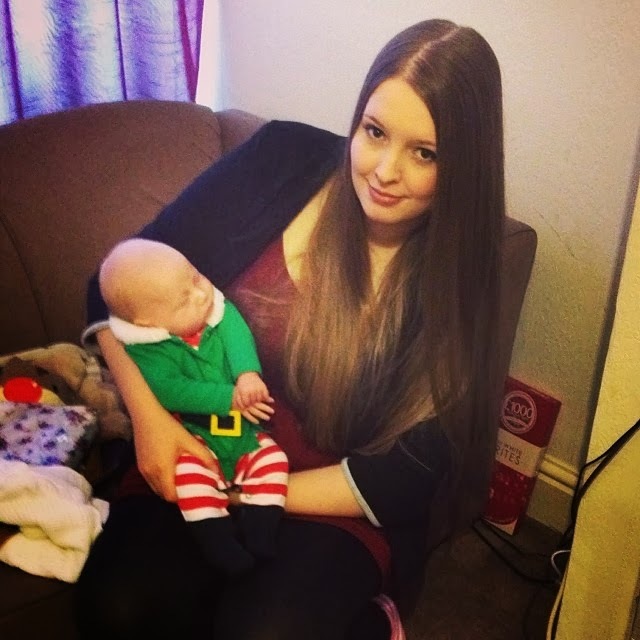 This Christmas will be our very first Christmas as a family and even though our baby will only be six weeks old when the big day approaches we want to make it as special as we can. We know he won't remember a minute of it but there will be plenty of photo's to look back on and it's not just going to be special for him, it's going to special for the entire family. I haven't started buying Noah's presents yet but I have been browsing online for gifts for him. I want to buy things that we will be able to use now and some items that he can use further down the line. As a Beebies Ambassador and Beebies Fan I have put together my #AVeryBeebiesChristmas wishlist of my favourite pieces from the website. One thing I am yet to buy is an Activity Spiral and I love this gender neutral Nattou Cappuccino Activity Spiral. I am a big fan of anything "animal" when it comes to baby items so this is a big hit with me. Noah wouldn't be able to use this for a while but who can resist the Cyril the Dog Rocker? He is super sweet and would look perfect in the nursery. Before Noah was born I bought a dozen sleep suits but I also bought a lot of outfits. Now he is here I regret buying those pairs of skinny jeans and plaid shirts cause sleep suits are so comfortable and practical. You can never have enough and the Puppy Star Fleece Sleep Suit is adorable. A lovely little stocking filler that I am sure my baby would love as he is already taking a liking to rattles. Have you had a look online at Beebies Baby Store? Is there anything you have your eye on? Christmas Giveaway: Win an OPI Nail Polish Lacquer Set! Today you have the chance to win an OPI mini set. 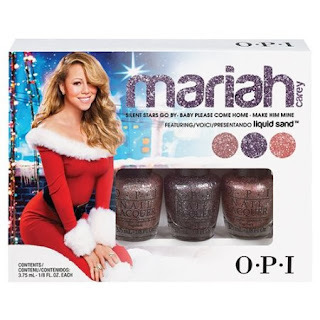 The festive Mariah Carey Holiday range, which will be perfect for all your upcoming Xmas parties. The set contains: Silent Stars Go By, Baby Please Come Home and Make Him Mine in 3.75ml bottles. 1. 1 Mariah Carey OPI Mini Set. 1 winner.